Diagnosis and/or pharmacy claims were used to build three base models using the Johns Hopkins ACG system and demographics. Model performances were compared before and after adding three types of prescription fill rates. Across all three claims-derived base models, adding fill rates improved the performance of the model to predict medical cost, followed by total cost then pharmacy cost. But such improvement was decreased as the comprehensiveness of claims-based risk adjustment models increased. Still, the addition of fill rates showed improvements in the performance of the base models that only include demographics and medication; [that’s] applicable to entities that have access to the demographics and medication data of a patient population, but lack the complete picture of the patient population’s diagnoses. Predictive Modeling News talked to Hadi Kharrazi MD PhD, Hsien-Yen Chang PhD and Jonathan Weiner DrPH, study co- authors and CPHIT faculty members, about the findings. Predictive Modeling News: At the end of the day, is prescription fill rate an acceptable proxy for hard-to-define “medication adherence” when it comes to crafting risk stratification models? Hadi Kharrazi MD PhD, Hsien-Yen Chang PhD and Jonathan Weiner DrPH: Yes and no. “Medication adherence” has many definitions, and we couldn’t find a universal method to quantify it. Probably the most accurate definition of medication adherence involves directly observing patients as they take the medication; however, this is an impractical measure in most cases and researchers tend to utilize proxy measures of medication adherence — patient self-reports, for example, and medication reconciliation records. So prescription fill rates like we used (i.e., comparing records of e-prescriptions and health plan pharmacy claims) brings valuable information regarding adherence beyond simply looking at prescriptions or Rx claims alone. So, “at the end of the day,” prescription fill rates are a good candidate measure to represent medication adherence for predictive and risk models. PMN: Is there anything organizations that gather and maintain fill rate data could do to improve its use in risk stratification modeling? HK, HYC & JW: Calculating prescription fill rates requires both the e-prescribing records (e.g., in EHRs) and filled prescription records (e.g., from claims). The catch is that not every organization has both sides of the data. Unless the organization in question is an integrated delivery system with both data systems under one umbrella, providers and payers will need to collaborate to calculate these measures. There may also be opportunities for e-prescription service providers (e.g., SureScripts LLC) to link the prescription data to the administrative. The use of fill rates could be an important piece of an organization’s risk stratification efforts and for care management. So this type of collaboration should be worth it. PMN: Is there anything health plans could do to use the data better? HK, HYC & JW: As noted above, health insurance plans (unless they are IDSs) will need to collaborate with providers or other entities (e.g. health information exchanges or e-prescribing hubs) to integrate the clinical prescribing data. 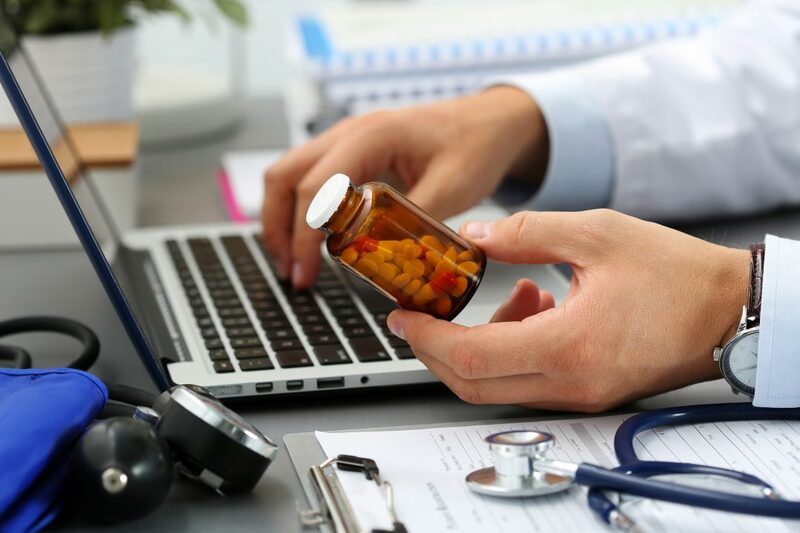 Additionally, most EHRs include “medication reconciliation” information, where clinicians take stock of a patient’s current medications from all sources (including over-the-counter and Rxs paid for out of pocket). So more thought should be put into how the various parties can coordinate all the information, analytics and the care management interventions in the medication domain. PMN: For what kind of patient populations would fill rate data be most useful? HK, HYC & JW: Assuming that lower prescription fill rates lead to undesired clinical outcomes (e.g., diabetes getting worse), lower fill rates will probably be predictive for patients who will suffer the most by not taking their medication. Based on this rationale, we are currently looking into subgroups of the population and investigating which of these subgroups might benefit most from adding their fill rates to risk stratification. PMN: Is this a tool health plans can use to get their arms around all the newly insured under health reform? prescriptions could be identified even more rapidly than just pharmacy claims. This could be an interesting area of further research. PMN: Could the information be used as needed on a patient-by-patient basis, or does it need to be used uniformly across a patient population to be effective? HK, HYC & JW: As noted earlier, prescription fill rates potentially represent a useful predictor for risk stratifying a large population and in identifying high-risk cases. While fill rate-defined “non-adherence” certainly is suggestive of a gap in care for an individual, fill rates alone are probably not a “definitive” marker for individual-level care management. PMN: Can fill rate data start being used right away, given your team’s findings? Is dependable, accurate prescription fill rate data routinely available to health plans? replicate similar analyses in other settings with other characteristics and IT systems. The formula to calculate fill rates we used is quite simple and thus can be applied quickly. But as noted above, one major concern is that the organizations must ensure the completeness of data from both claims and EHRs. We derived our study data from a large, established IDS that has done an excellent job of integrating these data. That may not be the case in all settings at this time. PMN: What’s the main concept you’d like readers to take away from your latest research? HK, HYC & JW: Value-based care has pushed providers to be at risk for population-level outcomes. Thus risk stratification and modeling will be vital to the success of this transformation. Using fill rates, or other clinically based metrics of medication adherence, can be a useful tool for healthcare providers to better accomplish this. As EHRs and other clinical systems come online, the field of risk stratification and predictive modeling will increasingly need to integrate these new sources. Please see another paper — ncbi.nlm.nih.gov/pubmed/28598890 — we recently published (that was featured in a past issue of this newsletter) that explores other aspects of EHRs versus claims in predicting risk. HK, HYC & JW: One methods issue is worth noting. Our analysis applied broad definitions of Rx types that are relevant to risk stratification (i.e., the ACG System’s Rx-MGs categories) that might, for example, group all oral hypoglycemics into one category. Thus, as part of our approach, we assessed adherence within these broad classes. A more granular medication classification system might lead to lower levels of adherence and could lead to different results than in our paper. This should be the subject of future work. Our research was undertaken to advance the state of the art for the entire field, and we hope others will build on our findings and undertake similar explorations, as well as work to implement some of this into practice. We at the Johns Hopkins Center for Population Health IT (CPHIT) are responsible for R&D in support of the JHU ACG predictive modeling system. We have many areas of development under way related to incorporating new EHR-derived pharmacy and other types of information into future versions of our ACG software. Stay tuned and thank you for your interest in our work!